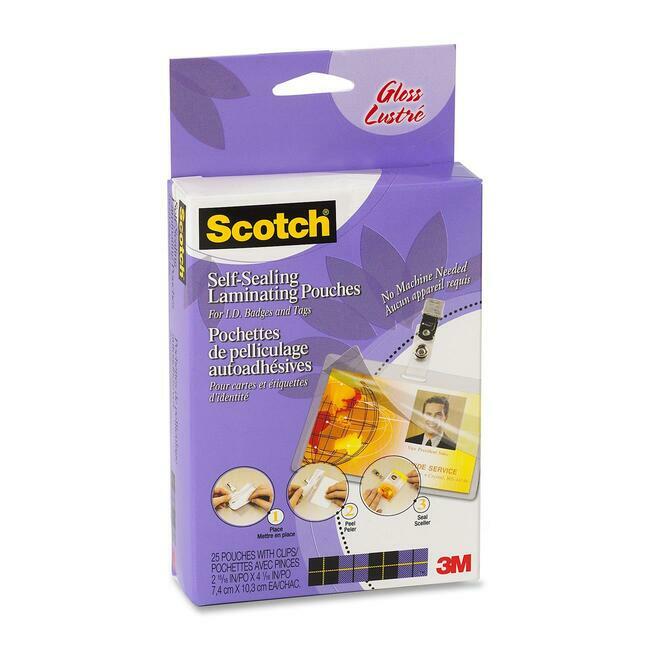 Self-sealing laminating pouches offer instant, permanent document laminating without heat or hassle. No heat or machine is needed. Pouch for ID badges is easy to use. Just open the sheet, place document on clear film, remove liner and seal around the edges. Photo-safe, acid-free pouch requires no special tools or equipment needed. 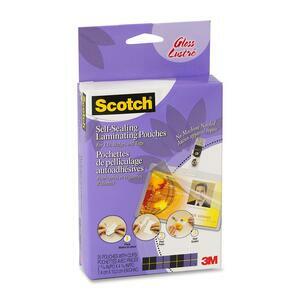 Laminating pouches deliver two-sided protection in one application. Ultra-clear design lets important information show through. 16 mil thick pouches include clips to complete your ID protector.